We all know it can be a real challenge to go solo and open a business, and olim especially can use all the helping hands we can get! 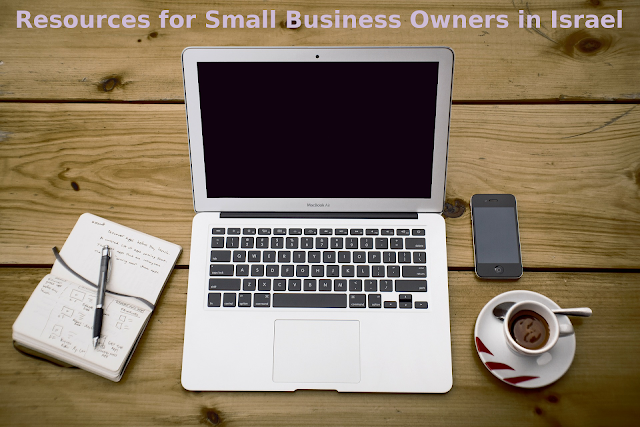 Today, I'd like to highlight a few of the resources I know about that small business owners can use to hopefully get ahead. I hope you find this list helpful! -- Bank Leumi offers small business management courses in the following locations: Ra'anana, Ramat Aviv, Ashdod, Lod, and Afula. The course is 7 sessions, and is free of charge. They also offer some digital classes (video series) - you can check it out HERE. These classes are specifically for Israel, so may address some of the unique challenges small businesses in Israel may encounter. Every Regional Tax Office (except Eilat and Tel Aviv - details below), between April 22, 2018 and June 14, 2018, Sunday - Thursday from 1pm - 6:30pm. Some offices may be closed on certain days of the week (Teverya is closed on Tuesdays, for example). I recommend calling before you go to verify they are open! In Tel Aviv, there is a special Resource Center dedicated just to this service, and it will remain open until July 19, 2018. Find it at Rechov Shefa Tal 12, Tel Aviv. -- Online (Video-based) Courses offered by the Israel Employment Services - for free! The videos are in Hebrew, and are actually a great way to improve your business Hebrew at the same time as learning something new! -- If your business can travel, you need to know about the fairs at which you can set up shop! Find all the fairs here! Please let me know if you know of other great resources - I'd be happy to expand this list!